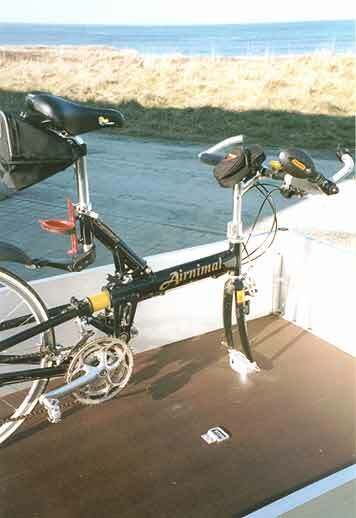 "Has been an excellent buy, have recommended it to those friends who cycle. Not sure what can be improved, as the basic design is so good." "Your product (ECOLATCH) has lived up to my expectations in pretty much every way..... a perfect and simple solution." "Everything seems fine so far with the latches, and I have recommended it to friends." 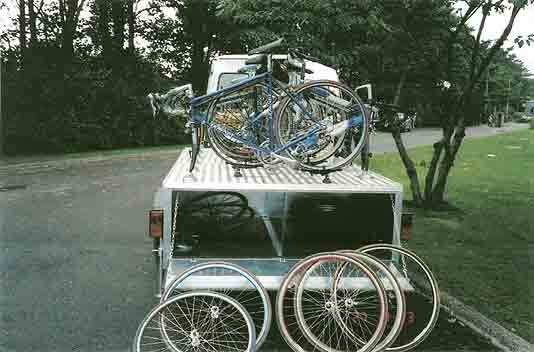 "The ECOLATCH's have allowed me marital harmony"
"I saw an alternative use for the Ecolatch which was/is as a fixture to the base of a trailer for cycle transportation. 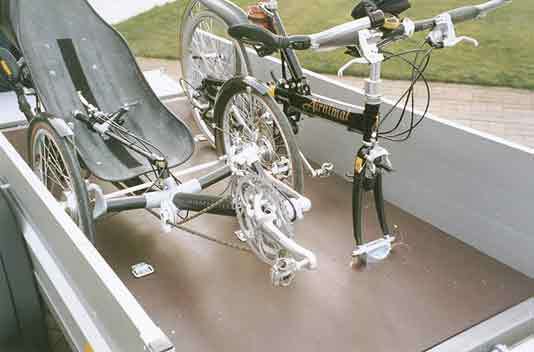 I have a Windcheetah hence the need for a trailer and I can carry conventional bikes alongside, safely fixed vertically using my Ecolatch. Perfect! 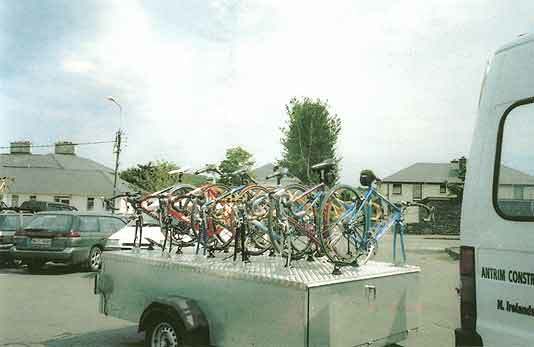 I may also purchase 2 more in the future for carrying bikes upright in the rear of an estate car. 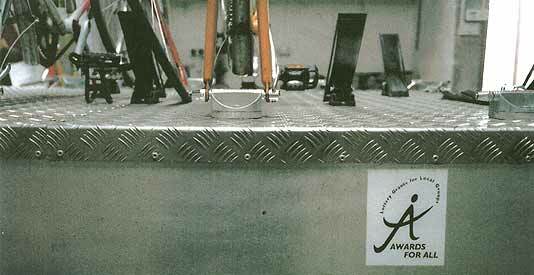 They would be screwed to a simple MDF platform, which could easily be lifted in and out of the car. 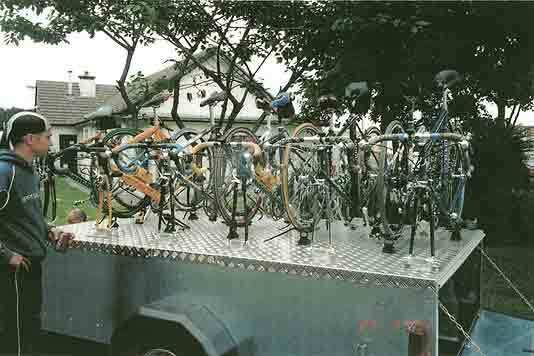 I have done this before but had to use a much less elegant solution. This may give you alternative marketing ideas for your very good value product." 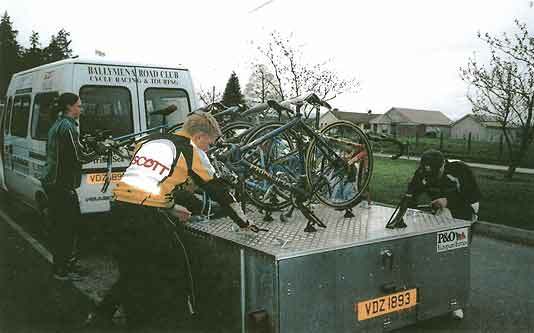 "Our cycle trailer has proved very successful over the past year. A very good job"